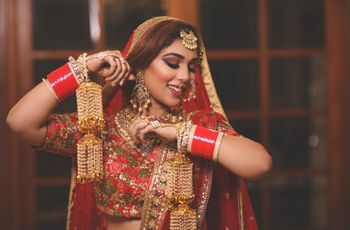 9 Maang Tikka Images That Show You How to Raise Your Fashion Game | Wedding Tips ARE YOU A VENDOR? When even traditional maang tikka has a plethora of variety, you're bound to get confused. To help you out, we have curated a collection of maang tikka images that will give you an idea of the designs and poses trending these days. 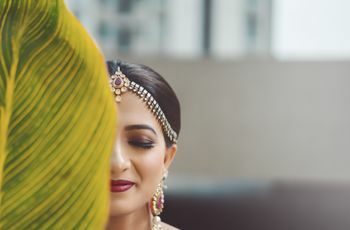 One of the must-have shots of your wedding album is where your head is tilted back and the photographer captures your beautiful maang tikka and eye makeup. 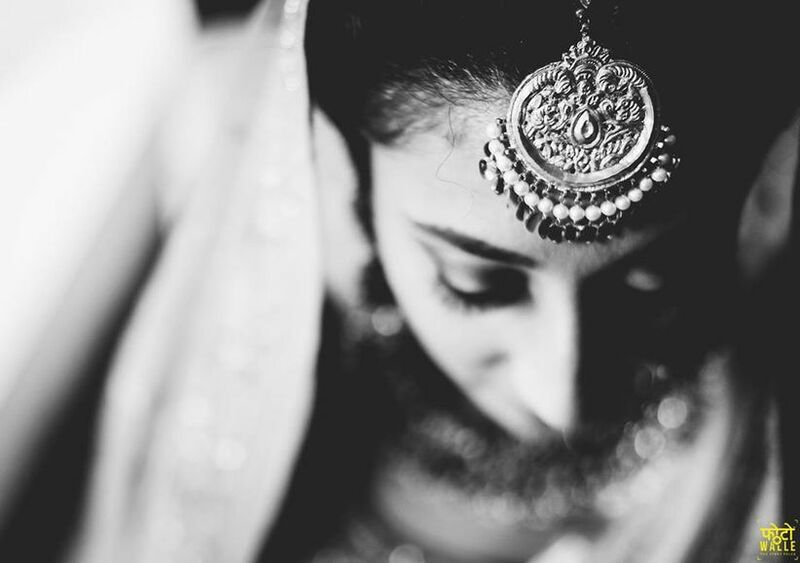 Posing for it is simple and gives you an ethereal image of your bridal jewellery. 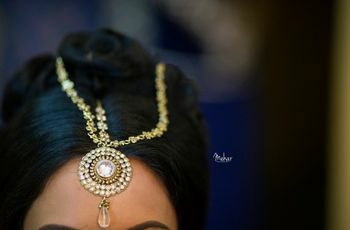 Maang tikka images are such a favourite among wedding photographers that we decided to showcase a gallery of different designs and photos. 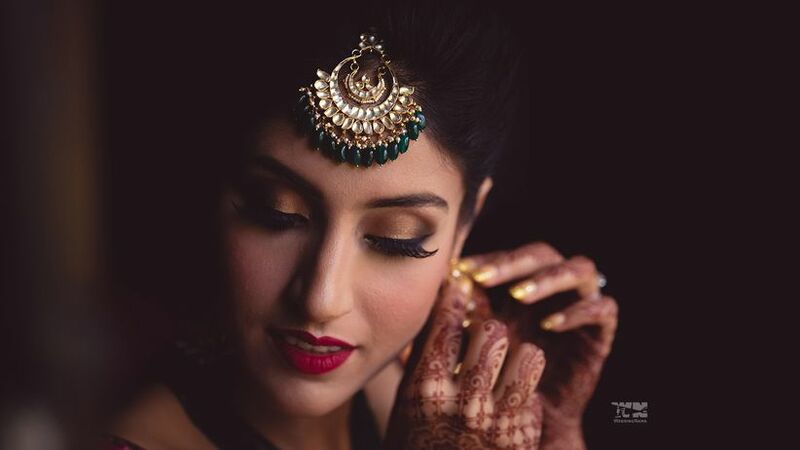 We hope it will give you inspiration for your own bridal trousseau and bridal shoot. You can always add colour to your jewellery with precious and semi-precious stones but this emerald green takes this maang tikka up a notch. We can’t emphasise enough on the fact that the green in this maang tikka fills it with life. Pair it with a contrasting outfit and get yourself a striking ensemble. And posing like you’re putting on an earring has always been a classic. What we love most about this maang tikka is its shape. It is perfect for brides with a rectangular face as it will also give her appearance a softer look. And pearls have always added a regal touch to every look that they are a part of, making them perfect for the D-Day avatar. The pose is a fail-proof one making it easy for you to look effortlessly gorgeous. 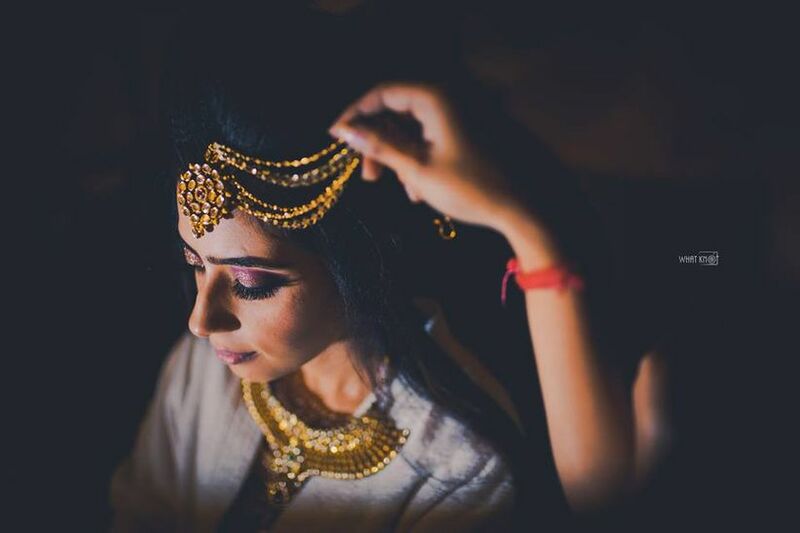 Who would've thought that a rustic gold maang tikka could look so chic and perfect for the wedding day! 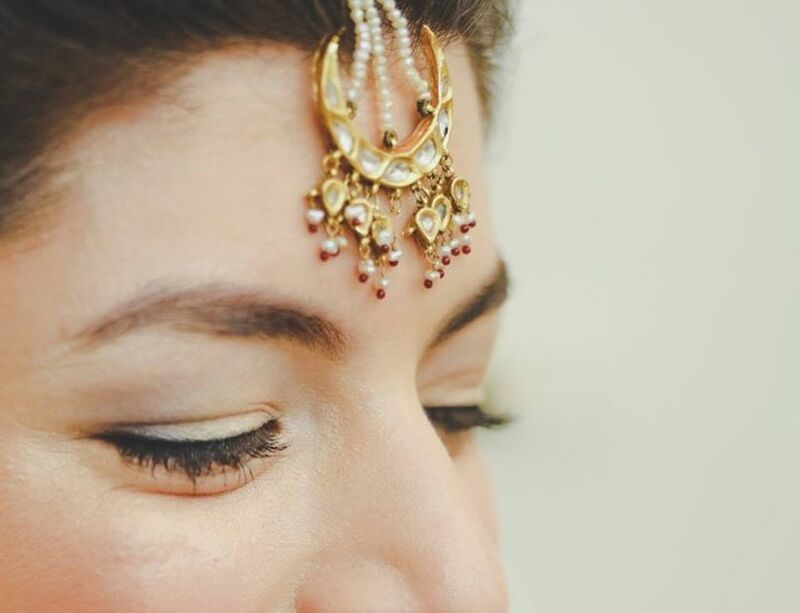 With a Kundan centre and a pearl drop, it can subtly amp up any bridal lehenga. Pair it with offbeat lehenga colours and you’ll get yourself a statement look. Again, the pose is as classic as it gets. Of course, the maang tikka is not black and white but what makes it stand out from all other maang tikka images is the fact that the picture is black and white. This image makes it look like elegance has been freed of the trap of time and has been held carefully in this photographer’s shot. The dangling pearls make it even more appealing to look at. When a maang tikka is this simple, it’s grace captures the onlooker in its mystique. 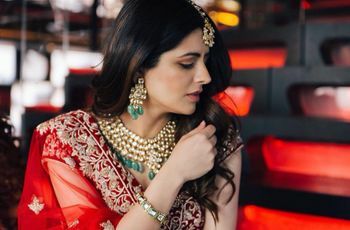 This single-string Kundan maang tikka and matha patti can be your go-to design if you are a minimalism-loving bride. Pair it with your reception outfit and you’re definitely going to make a statement with your look. As for the pose, it looks like a candid moment among a sea of posed maang tikka images. We are totally digging the crescent design of this maang tikka. You can clearly see why this picture made it to our list of maang tikka images. It looks so delicate and yet carries such a refinement in its appeal. 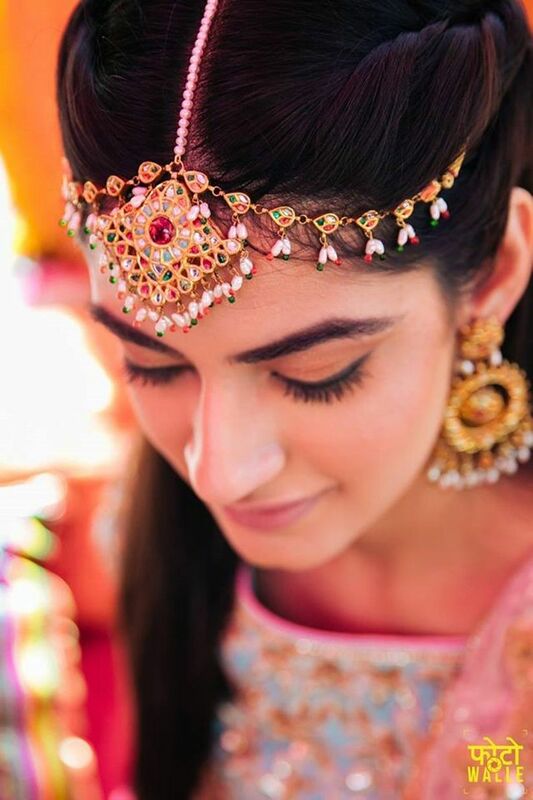 The Kundan crescent and pearl strings that hold it in place are perfect for any pre-wedding function. Add colours to your Mehndi outfit with a Meenakari maang tikka and matha patti such as this. 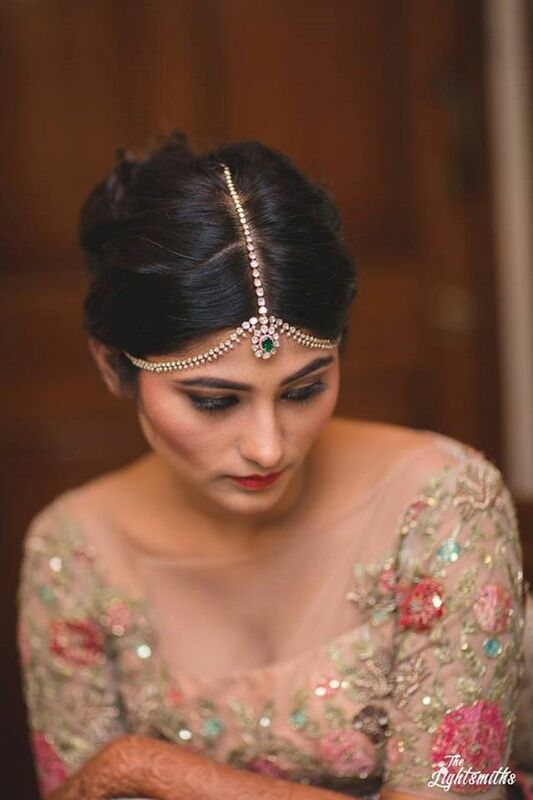 If you’re planning plaits for your Mehndi hairstyle, this will totally raise the style factor and make you shine as a bride. Pose by looking at your Mehndi and let your wedding photographer do the rest. Tone down the bling and add some funk to your Mehndi outfit with a mirror-work maang tikka and matha patti. Look for quirky designs like in this maang tikka image in the lanes of Shahpur Jat market if you’re from Delhi. Designs such as these will definitely showcase your millennial spirit while keeping the traditional aspect intact. 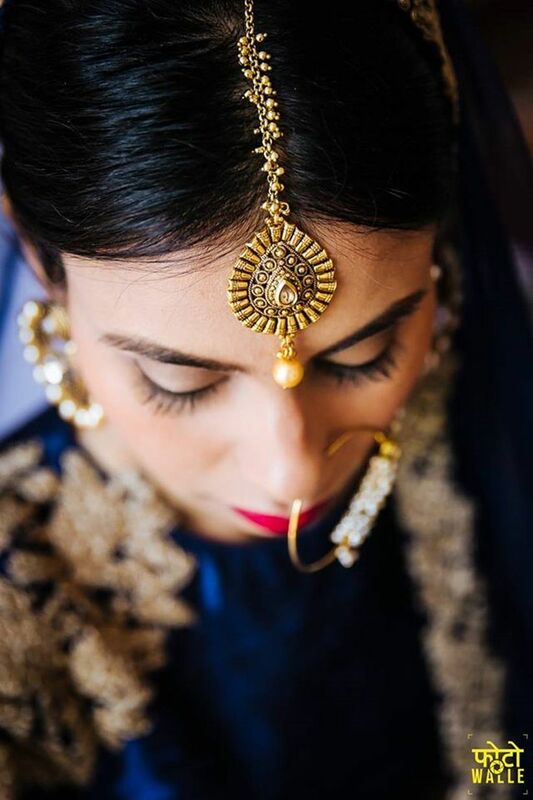 The latest mehndi jewellery trend that has been raging and continues to range among the brides these days is floral jewellery. 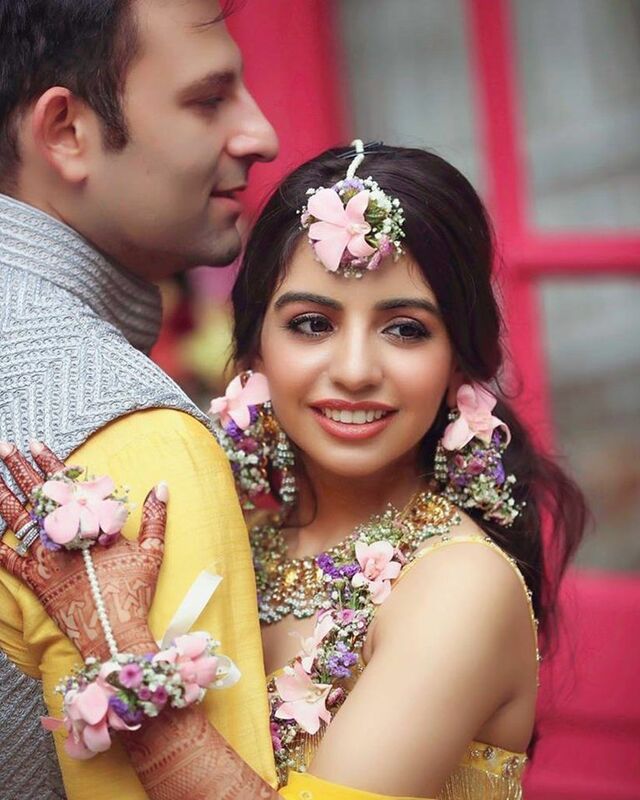 And a floral maang tikka such as this one is giving us all the fresh feels of this Mehndi outfit. Look at how joyful this bride looks in the arms of her forever. 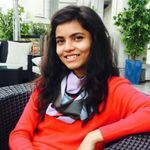 You can strike a similar pose to look your best in your maang tikka images. 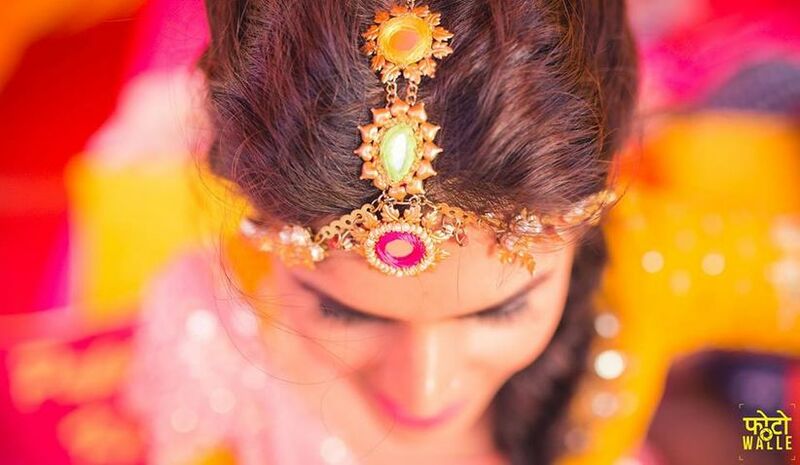 What will make your headgear stand out in maang tikka images is the right bridal hairstyle! So consult your makeup artist during your makeup trial itself to get the best out of your look. 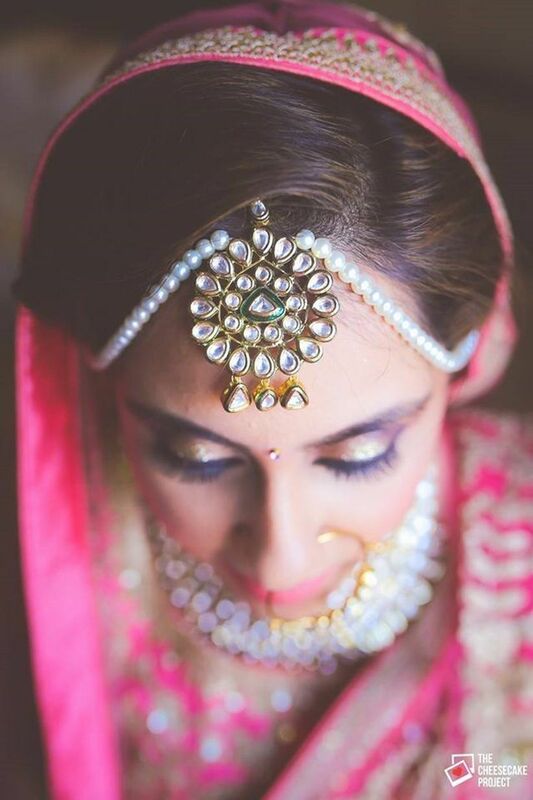 Have these maang tikka images left you craving for more bridal jewellery inspiration? Go to our jewellery vendors and have a look.